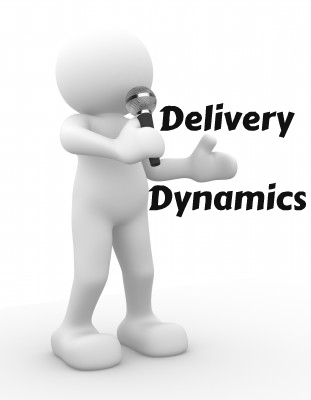 Delivery Dynamics: Can They Hear? 1. Projection. The preacher needs to project their voice. Even if you have a microphone, preach as if you don’t (without shouting) and let the experts on the sound desk adjust accordingly. Some people assume a microphone will pick up and amplify sound that barely has the strength to make it across the few inches to the black foam. Shouting and straining may harm your vocal clarity and make it so listeners don’t want to hear you, but lack of projection can be just as frustrating. 2. Pronunciation. You don’t need to put on an accent that is not your own. You are preaching, not reading the news. But be lovingly sensitive to those present, and adjust as necessary to allow them to make out the words you are saying. Mumbled words are not casual, they are unloving. Practice moving the mouth a little more and make sure the words and sounds are articulated. 3. Pace. You will often hear people talking about how the pace should not be too quick. It is certainly possible to overdo the pace, but the human mind can cope with quick speech. That is, as long as the words are distinct, and the pace is not sustained for too long. So beware of going too fast, but also recognize that some listeners cannot tolerate it when a speaker goes too slowly, either. Tomorrow I’ll probe another question that will take us to a new level on the issue of delivery dynamics. Thank you Peter for these thoughts. I used to go into various church buildings to read the scriptures from the lectern. It helped to build up my voice and enabled me to practice speaking strongly and distinctly.